Sanamxay villagers sought safety on the roofs of their houses to escape the flooding following the July 23 dam collapse. Photo: CNN. Vientiane – As rescue operations continue in villages flooded by the collapse on Monday (23/7) of the vast Saddle Dam D, part of the Xepien – Xenamnoy hydropower project in south-eastern Lao People's Democratic Republic's Attapeu province, IOM has allocated USD 75,000 to kickstart its emergency relief operations in the area. 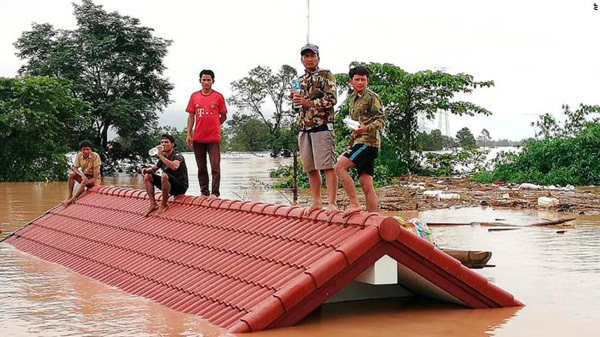 According to the Lao authorities, the disaster was triggered by heavy rains across the region brought by Tropical Storm Son-Tinh. The storm affected an estimated 16,256 people in 11 provinces across the country. 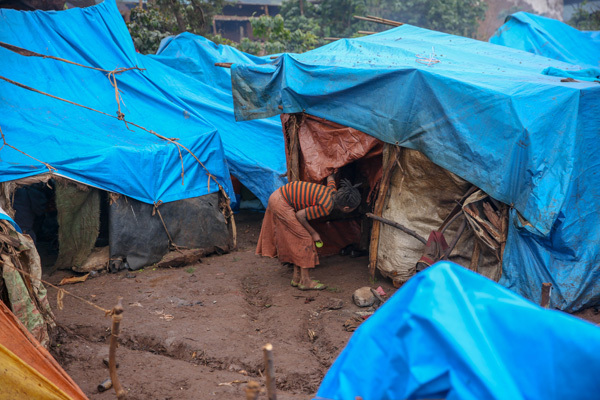 Dilla – Roughly 970,000 people have been internally displaced by conflict in Ethiopia’s Gedeo Zone and West Guji in the past four months, the majority in June. With so many people becoming displaced in such a short time period, IOM, the UN Migration Agency, and humanitarian partners have been scaling up their presence to provide urgent, live-saving assistance. IOM is providing shelter assistance and essential aid items, facilitating access to water and sanitation services and raising awareness about hygiene to the displaced populations in both areas, many of whom have found shelter in unfinished buildings or in unhealthy conditions with just a sheet of tarpaulin for protection from the elements. Ion Lazarenco Tiron : "If today, one out of ten people who left my village would give back to the community, my village would look like Switzerland." IPS reported that many migrants use Benin as a launchpad before heading to North Africa or Europe. However, some are choosing to remain. NBC News reported that the approach taken by Italy's new government raises questions about how rescue ships can continue saving lives in the Mediterranean Sea. Georgia’s Agenda reported that the number of Georgian asylum seekers in the EU member states is decreasing, which benefits the Georgian-EU visa waiver agreed upon last year. 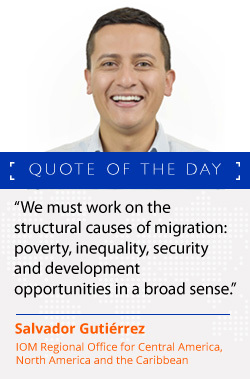 Xinhua reported that according to recent statistics, the number of migrants arriving in Australia has hit a record high.